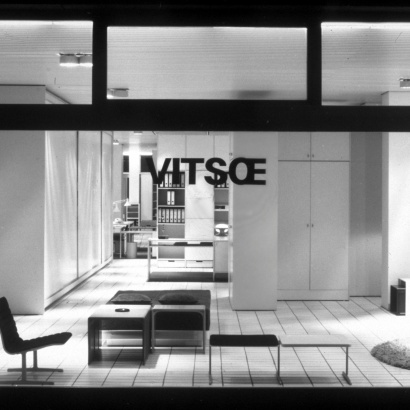 Vitsœ (pronounced ‘vit-soo’) was the name of the company’s founder, Niels Vitsœ (1913-1995). While selling Danish furniture in post-war Germany, this man of immense charm, grace, determination and dry wit was introduced to a youthful Dieter Rams by fellow designer Otto Zapf. 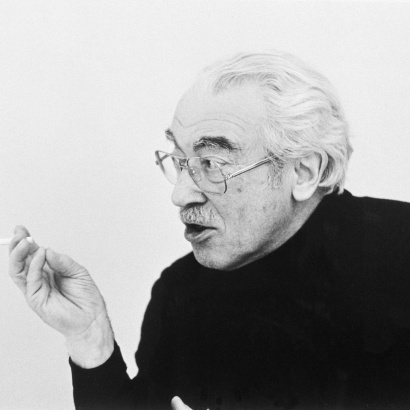 Otto Zapf left the company in 1969 and it became, simply, Vitsœ. A distinguished showroom opened in the heart of Frankfurt which became an important meeting place for the world’s design literati. In 1985 Niels Vitsœ and Dieter Rams were introduced to a Briton, Mark Adams, who set up Vitsœ Ltd in the United Kingdom. On the retirement of Niels Vitsœ, Adams became managing director of Vitsœ and moved the corporate seat and production to London, United Kingdom, in 1995 from where international markets could best be served. In 2017, Vitsœ moved from its central London workshop to an important site in Royal Leamington Spa in the centre of England. Vitsœ designed a low-energy, modest, expandable building that will adapt continuously in response to the changing needs of its occupiers for many decades. Today, with a growing international team in a variety of worldwide locations, Vitsœ has pioneered selling directly to customers in more than 60 countries.